Simple, rustic and stylish, Coastal is natural beauty personified. Handcrafted by local artisans in India using age-old techniques, wood slats and iron legs create a sturdy base for this beach-house inspired bed frame. The real showstopper is the headboard made from two planks of FSC-certified solid acacia wood and joined by butterfly dowels, creating a wavy gap across its horizontal shape. Hand brushed and hand polished, this bed showcases knots and natural imperfections, making every one subtly one of a kind. Drifting off to sleep in Coastal is a dream come true. Sturdy, stylish and versatile! Love this bed. This bed was a little hard to assemble, mostly because of it's weight and because I'm no expert at assembling but I absolutely adore it! I've had it for almost a year now and it still looks brand new! We originally purchased the Coastal queen bed and were so impressed with the quality and craftsmanship that we purchased the entire bedroom set (two side tables and the chest of drawers) to match the bed. The wood is high quality solid (and very heavy) acacia wood and the Indian dovetail joints are meticulous. The metal frame and legs are beefy and solid and will stand up for many years. This is truly an heirloom investment! This bed is amazing. Quality construction, solid wood (even the slats!!) and thick metal legs and center support. I wholeheartedly agree with what everyone else below has said - this bed will last many, many years, if not a lifetime. It weighs 400lb and is easily the nicest, most solid bed I've ever slept on. Thanks to Carlos at the Cambridge location A++! I bought this bed 2 years ago. And it’s so sturdy and the wood looks so good. I feel glorious sleeping in the bed. I liked the look online. Had bought two beds before so was happy with the quality of their wood beds. But being much more than the previous beds, I wanted to see it in the storeroom. The video helped, but nothing beats touch. The queen size looked good, solid and was quality built. We ordered a king size and went with he two end tables. While the pieces added up, I've yet to find a store that provides value like structure. The wait was what they quoted us. Make sure to get delivery on this one. It is very heavy - some 600 lbs. The bed was solid and simple to put together, but be careful with the pieces as they are heavy - have someone to help you. Even the wooden slats on this bed are solid - made of a hardwood that must weight between 60lbs or more for each side. There were no scratches, but what surprised me is what the legs and joins were made of - solid iron. The iron plates were about 1 cm thick and welded together. The screws came with a metal wrench, but use a socket set if you have it to save a few minutes. We are very impressed. The build quality is excellent. Supplied tools and screws also good. Delivery personnel were courteous. Only area that needed improvement was the plan to put the bed together. It was not clear which size screws should be used as this information was not always labelled. This is easy to solve as it only comes with two size screws with 12 pieces. The detail of the map could also use some work. I have found the plans to be lacking on a few of their products, but the online version is usually better, though not in this case. The end tables are also very heavy, but assembly is simple as it just requires the feet to be attached. Bought three beds, five end tables, and other furniture from Structure. Never had a missing screw. Only once had a defect and they took care of it for us. My husband and I bought this bed when we got married 2 years ago. We love it. It feels so sturdy on the ground and it’s very well made. It’s a heavy bed, yet it was easy to put together.  I am moving out to a new place and that Bed among with some other furniture I bought from Structube are the only ones I am bringing with me. the wood looks so good. It’s a bed that will last a lifetime. This bed is exactly the bed we needed! We were done with the flimsy European slat beds. It’s solid wood construction is very easy to assembles. I am glad the delivery team brought it upstairs because it really is heavy. The slats are a little tricky to keep down but once the mattress is down the are perfect. If you want a beautifully crafted solid bed this is for you! Just be careful you don’t bump your shin since it does stick out a few inches from the mattress. If you can get this bed, hurry! Top quality product. Would easily be $3500 at other American franchises! I've received the bed after 4 months awaiting (this is the only complain). However, I must say it was worth my waiting time and money. The bed is very sturdy, no sounds at all even we jump on it. Assembling needs 2 people because the whole bed is a huge solid piece of wood which is very heavy to handle alone. Delivery guys (Urban courier, Antonio and his team) provided immaculate service. They offered to help us carrying the super heavy head board and its belongings to upstairs, so friendly, timely manner and professional. Overall, I am very happy with the natural rustic look and quality of the bed, it's flawless. This is the best bed I've ever owned. The wood is marvelous and very high quality. The bed is sturdy and doesn't creek like every other bed I've owned. The delivery was quick and assembly was easy but best with two people. I love that everything you need for assembly is included. For the price this bed is the best value for money.